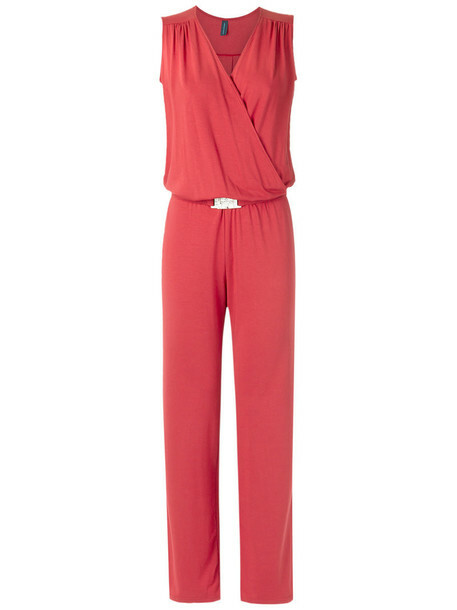 Red panelled jumpsuit from Lygia & Nanny featuring a v-neck, a sleeveless design and a belted waist. Size: 42. Gender: Female. Material: Spandex/Elastane/Viscose.